If you were to judge your favorite book by its cover, would you still read it? I have two favorite books: The Count of Monte Cristo and Suzanne’s Diary for Nicholas. These two books are complete opposites and so I love them both for different reasons. This is a classic by Alexandre Dumas and I remember absolutely adoring this book when I first read it as a 12-year-old. After reading Jodi Picoult’s The Pact, I went through a phase of reading almost every book I could get my hands on. Well, one day, I ran out of ideas of what to read, so I looked at the list of books my sister had to read for her Best Sellers class- surprise, surprise, The Count of Monte Cristo was on the list and it wasn’t long since I finished Gone with the Wind. In other words, I was craving 1) a classic and 2) a long book that I could take my time with. Monte Cristo was not an easy book to read, especially as a middle school-er. To be honest, I was a little bit bored at first- mostly because I was confused with all the fancy French words and French locations. And the book cover certainly didn’t help (the first time I read this book, I had the stormy seas cover pictured above). I had no idea where the book was going… but Dumas got the wheels going fairly quickly compared to Mitchell’s Gone with the Wind. At the time, I thought the book was super slow in the beginning, but probably due to the fact that I was truly, truly bored. Now that I look back on it… well, what can I say- it’s one of my favorites now! 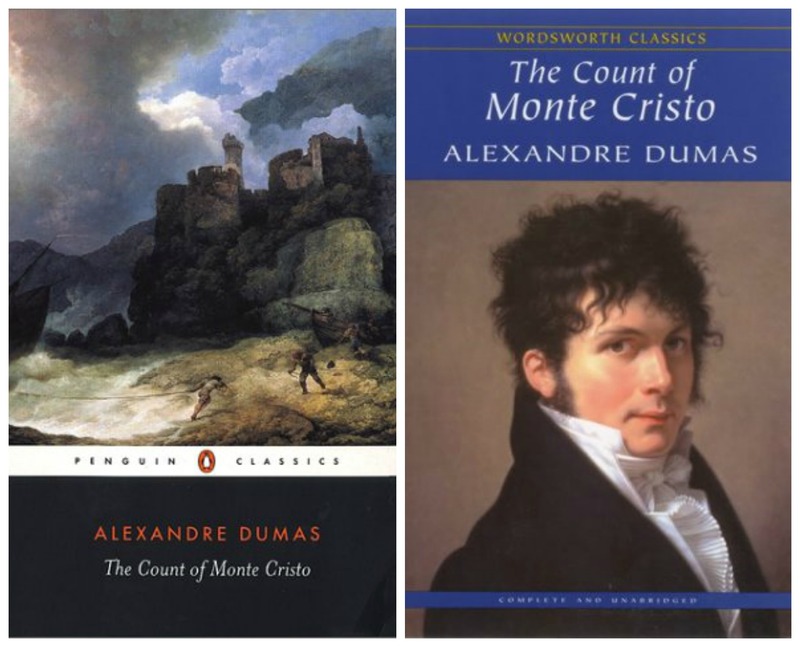 Dumas presented Monte Cristo’s wonderfully cruel revenge plot in such a realistic way. As I read the book, I definitely felt the hatred and the satisfaction that Monte Cristo fostered in his heart with each step of the way. The only part that got to me a little bit was the complexity of his plot. As if the French names were not hard enough to remember, the twists and turns of his revenge put me in a doozy at times and at times, made me question why he was doing what he was doing. The other fantastic thing about this book was that Monte Cristo hopped around a lot… I felt like I was traveling through Europe with Monte Cristo. In addition to journeying with Monte Cristo through his carefully planned revenge plan, I was able to learn about France and Italy. In fact, I learned so much about Italy that when I took my Italian class in the 8th grade, I was able to connect so many things back to Monte Cristo, historically and geographically. This book is one of the books that I am glad I did not toss aside because of the plain cover. The stormy seas cover is really not that bad though… compared to the man cover (pictured above next to the stormy seas one). If, at the time, I judged books by their covers, I would have picked up Monte Cristo at some point (if it was the stormy seas cover). My sister bought me my own copy of Monte Cristo the year after I read the book and it had the cover with the man on it. Now, if I hadn’t read the book and I judged books by their covers and I received a copy of Monte Cristo with the man on it… I would never have given Monte Cristo a chance… or at least at the time. I think I would have read Monte Cristo eventually. 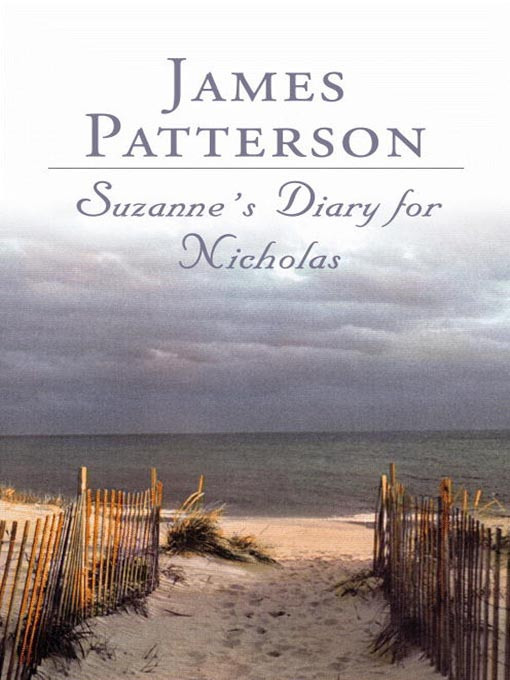 Suzanne’s Diary for Nicholas is a different story- I read the book because of the cover (partially the reason). This book was out of the ordinary for James Patterson, obviously… I was quite shocked that James Patterson could even write a sappy love story after reading all of his Alex Cross stories. Suzanne’s Diary was definitely closer to the style of Nicholas Sparks… but better. I know most people get hyped up over Nicholas Sparks, especially the girls… and especially after A Walk to Remember and The Notebook were adapted into films. Gosh I remember being in elementary school and all the girls were crazy for Nicholas Sparks after seeing those movies. For the record, I read the books first- even before the movies came out- and went through my own little phase of Nicholas Sparks fandom. By the time every other girl in my grade were obsessed, I was over it and moved on to James Patterson (and then came Jodi Picoult… before she grew wildly popular with youngsters, but that’s a different story). Recently, I found out that Suzanne’s Diary holds a little bit of truth to Patterson’s love life. Actually, I remember reading that somewhere on the book jacket… but I must have forgotten since it was so long ago (yes, I’m old now…). Well, Patterson fell in love with a woman and dated her for several years before she was diagnosed with a terminal brain tumor. He didn’t have romantic relations with anyone for a long time after she died. Eventually, he finally married his current wife and had a son with her. It may not sound like much of a story, but there’s so much emotion in it… for Patterson and Matt (the male character in Suzanne’s Diary). I think this sappy book was a success partly because Patterson put his heart into it… emotions were embedded in each word. And the ending… was perfect- open to readers to decide whether or not it was a happy ending. When I saw the book on the shelf in the library, I picked it up because I was curious. The cover had a path that led to the sea, almost inviting me to open the book and read it. And of course the title attracted me- who doesn’t want to read a book that has “diary” in the title. This book was just fantastic, inside and out. A good book resonates with us even after we finish it. We find ourselves immersed in the book, living the life of the characters, and constantly wondering “what happens next.” Often times, we judge books by their covers. But I think there is more to it- there’s always something that pulls us to certain books… something within the books.